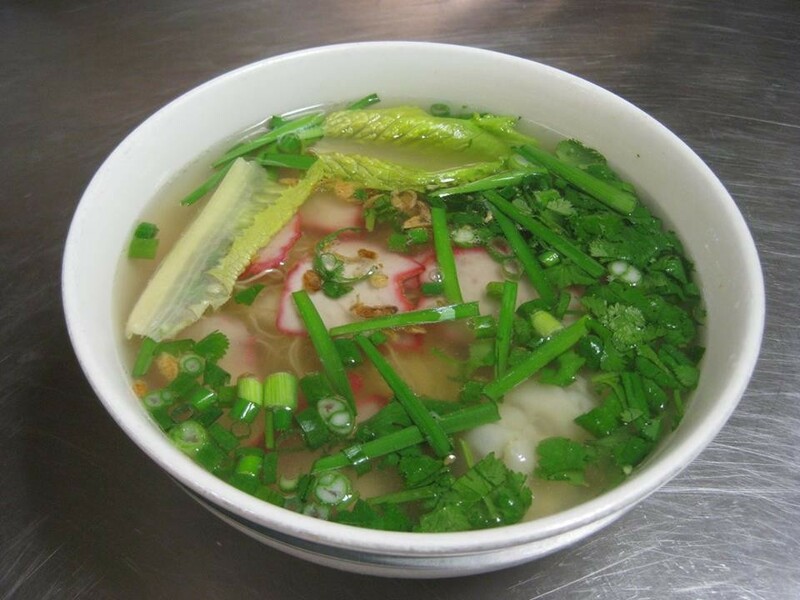 Vien Dong's pho is available again at the new location for the popular Vietnamese restaurant. Fans of an East Spokane restaurant long praised for its tasty, piping hot pho soup and Vietnamese banh mi sandwiches can rejoice: Vien Dong has reopened inside its new home on East Trent (3435 E. Trent) as of this past Friday. The restaurant, which originally opened on East Sprague in the mid-2000s, has since built up a loyal following of locals who come back again and again for its authentic, budget-friendly Vietnamese and Chinese eats. While the price has gone up a couple bucks to keep up with the times, Vien Dong’s beloved banh mi sandwiches are still only $4.75 each for all options, including tofu, pork, ham, chicken and head cheese or patê. Pho is priced between $8-$9 for a small order, and $9-$11 for a large. Find the full menu on the restaurant's Facebook page at the above link. 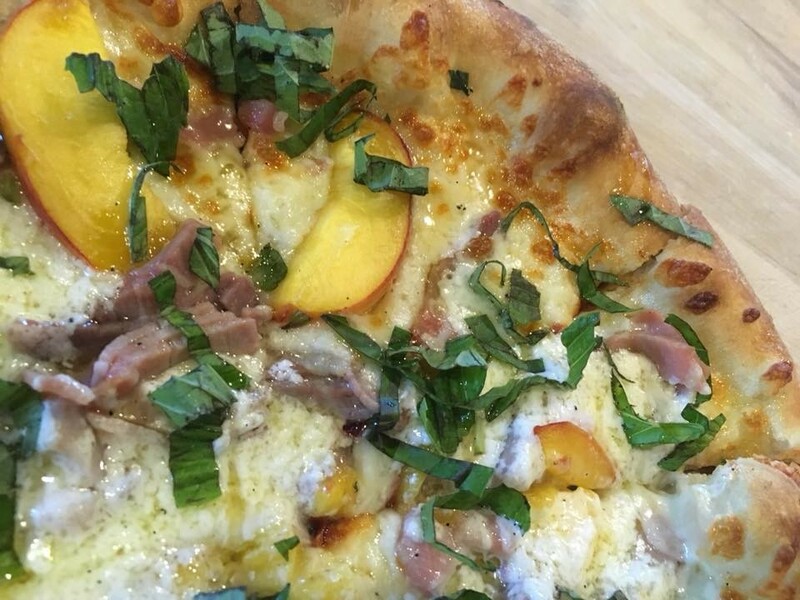 Prosciutto + peach pizza is back! Don't wait to enjoy this popular seasonal pie, topped with fresh Green Bluff peaches. A summertime fan favorite is back on the menu at South Perry Pizza: the pizzeria’s peach prosciutto pie. Topped with fresh, local peaches from Green Bluff and savory, salty prosciutto slices, the combo is a delightful blend of savory and sweet, alongside a base of olive oil, with mozzarella and mascarpone cheese, fresh basil and white balsamic vinegar reduction. Staff say the seasonal fave ($17) will stay on the menu until this season’s peach harvest runs out, which usually lasts through the month of August. Stop by and grab a seat on the patio while you enjoy the Inland Northwest’s summer bounty and warm temps before both are gone. Don’t wait to reserve your spot for an upcoming beer dinner collab between chef Travis Dickinson’s Cochinito Taqueria and Iron Goat Brewing Co. Happening on Monday, Aug. 27, at 6 pm, the dinner offers seating for only 30 guests, with tickets priced at $60 each (tax and gratuity not included). The seven-course dinner features South American and Mexican flavors and dishes, each paired with a beer from Iron Goat. The brewpub’s own executive chef Travis Tveit is also contributing a special surprise course to start off the meal. Other courses include a pork belly “pastor” with pickled pineapple, mango chile paleta, tarragon and chervil, to be paired with Iron Goat’s Brick and Steel IPA. Make a reservation by calling 747-9618. Meet local business owner and master cake artist Christine Leaming, who's turned her passion for art into her successful cake-decorating shop Sweets Geeky Cakes. We also head to Spirit Lake in North Idaho to sample some indulgent burgers from recent arrival Messy's Burgers.